East Bidwell Street, Folsom CA-95630. At Folsom Medical Supply, Customer service is our first priority. We sell wide variety of medical supplies from top name brands like Pride, Drive, Medline, Nova, BSN Medical (Jobst, FLA), Juzo, Medi, McKesson, MABIS/DMI, Resporonics, Z-Coil, Pedifix, Superfeet and Core Products. 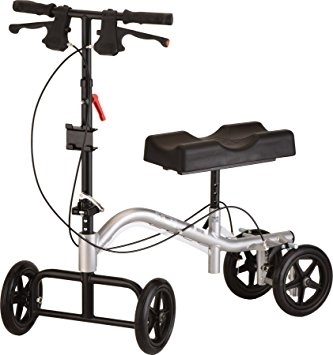 Products: Power Wheel Chairs, Scooters, Lift Chairs, Wheel Chairs, Walkers, Rollators, Canes, Crutches, Bath Safety products, Orthopedic Braces, Compression Stockings (Support Stockings), Arthritis Care, Wound Care,Personal Care, Preventive Care, Diabetic Socks, Diabetic Supplies, Z-Coil Shoes, Ostomy Supplies, Hospital Beds and Respiratory Care(Peak Flow Meters, Nebulizers, T.E.N.S Units, Spacers, Spirometers, CPAP Masks) . 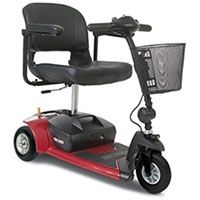 We also rent Hospital Beds, Lift Chairs, Scooters, Manual Wheel Chairs, Transport Chairs, Knee Walkers, Rollators, and Walkers. We provide all medical supply related products for the elderly. We serve Sacramento, Folsom, El Dorado Hills, Rancho Cordova, Gold River, Fair Oaks, Orangevale, Granite Bay, Roseville, Cameron Park, Shingle Springs, Rancho Murieta, Sloughouse and surrounding areas. Please visit Folsom Medical Supply show room at 422 East Bidwell Street, Folsom CA-95630. Delivery: We deliver the medical supplies (Hospital Beds, Lift Chairs, Scooters and Wheel Chairs) with in 15 miles from our show room, this covers all Folsom, El Dorado Hills, Cameron Park, Shingle Springs, Rancho Murieta, Sloughouse, Orangevale, Granite Bay, Rancho Cordova areas and part of Sacramento and Roseville.